An entire generation has been born and grown up without ever knowing a time when HIV did not exist, and they may be the first to see it end. Experts say even without a cure we have the knowledge and tools today that could lead to the eradication of the disease. If this AIDS-free future is to be realized, those in need must be educated about – and have access to – these latest advances. 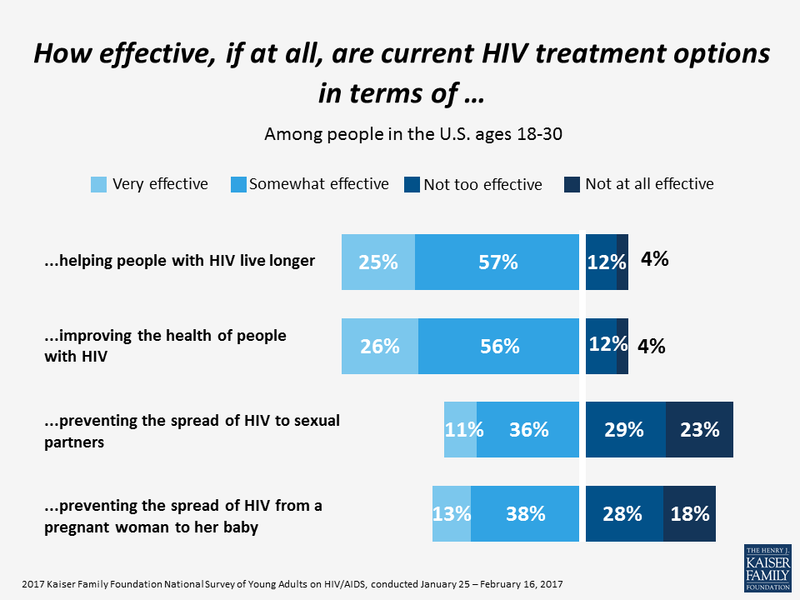 To provide insight into the knowledge, attitudes and experiences of young adults in the U.S. about HIV/AIDS at this critical time in the epidemic, the Kaiser Family Foundation conducted a comprehensive nationally representative survey of 1,794 18-30 year olds between January 25 – February 16, 2017. Given the disproportionate impact of HIV on Black and Latino populations, oversamples of these groups were included to provide a more in-depth look by race. 1. HIV hits close to home for many young people of color. Due to a combination of social inequities and where the disease initially took hold, HIV has disproportionately affected Black and Latino populations. The uneven impact of HIV is reflected in the starkly differing views and experiences reported by those of different races. 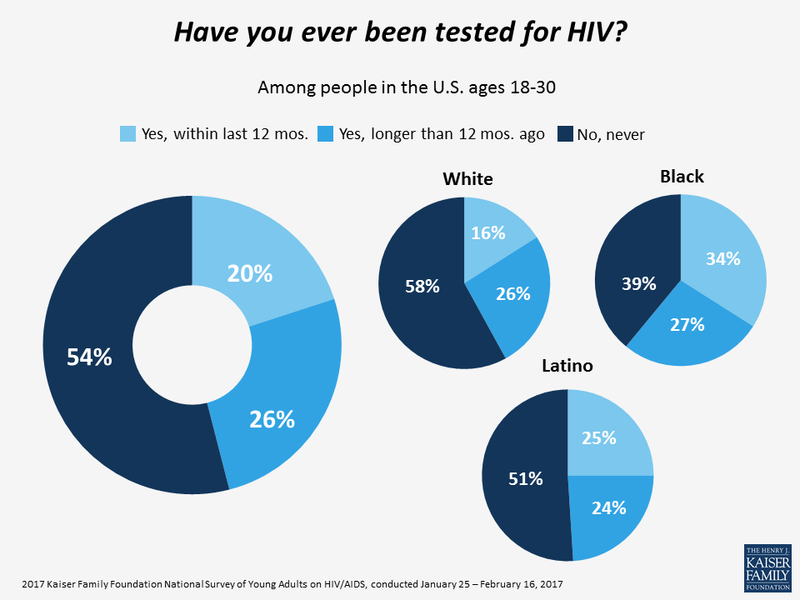 About three times as many Blacks and Latinos, as whites, say HIV today is a “very serious” issue for people they know. 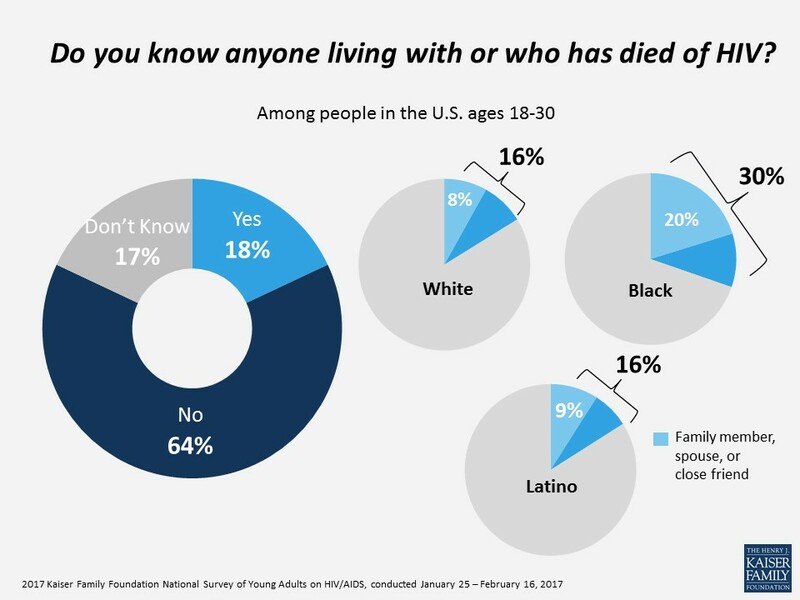 Almost twice as many Blacks, as whites or Latinos, say they know someone living with or who has died of HIV. One in five Blacks have a family member or close friend affected by HIV. 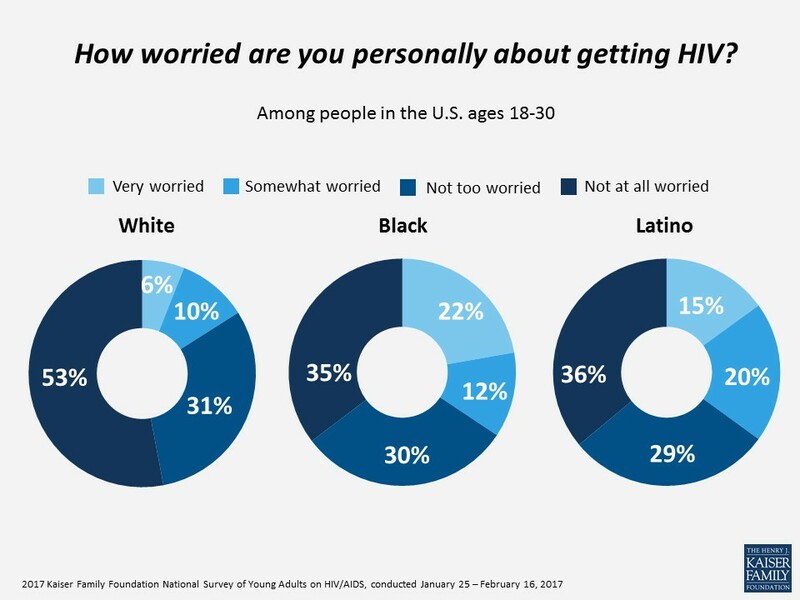 About a third of Black and Latino young people say they worry about getting HIV; approximately half as many whites express concern about their own risk. 2. Many are not aware of advances in HIV prevention and treatment. 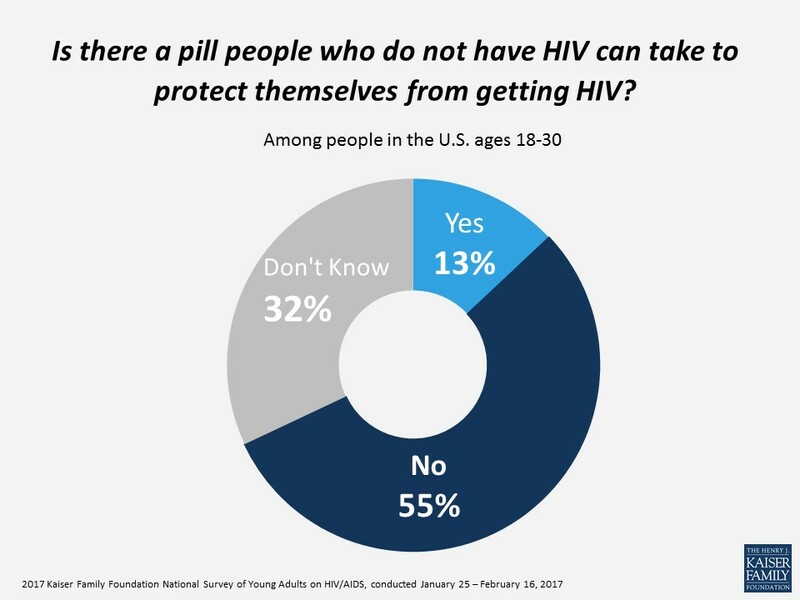 In the five years since PrEP, the pill to protect against HIV, was approved by the Food & Drug Administration, only about one in ten young adults know about the prevention option. When taken as prescribed, PrEP is highly effective in protecting against HIV. PrEP is also a significant advance in that it provides women with the first HIV prevention tool that they can control themselves. There are also gaps in understanding of how the medications used to treat HIV work. While most young adults are generally aware of the health benefits of antiretrovirals (or ARVs), many understate their effectiveness and few know they also prevent the spread of the virus. ARVs work to lower the amount of virus in the body (viral load), often to levels that are undetectable by standard lab tests. The vast majority of people who take their ARVs every day as prescribed and remain in care are able to achieve and maintain an undetectable viral load. In addition to improving health, getting and keeping a low viral load also prevents the spread of the virus to others. 3. Stigma and misperceptions about HIV persist. Most young people today say they would be comfortable having people with HIV as friends or work colleagues, but when it comes to other situations, the stigma of the disease is evident. Providing insight into what may be behind the stigma, the survey also reveals a lack of understanding among some about how HIV is and is not transmitted. 4. HIV testing is occurring less than generally recommended. 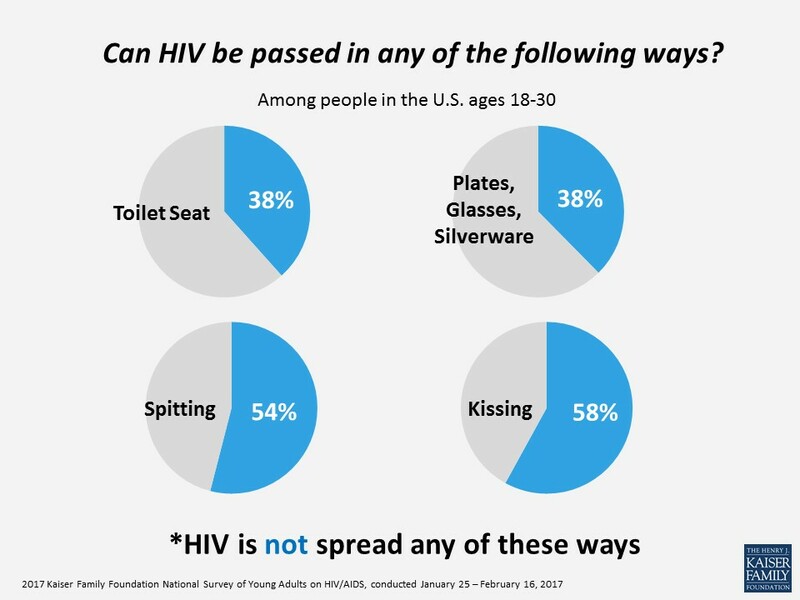 The CDC recommends HIV testing as part of routine health care, yet more than half of young adults say they have never been tested. Black young adults are more likely – and more recently – to report having gotten an HIV test. 5. The Internet is a go-to resource for HIV information. 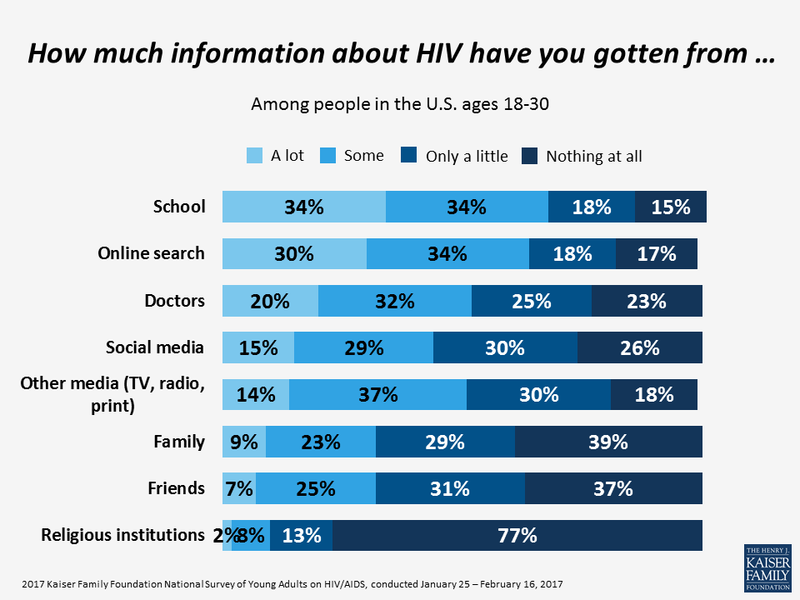 After school, searching online is one of the most often named sources of HIV information by young adults (multiple responses possible). Almost as many cite some form of media as doctors for at least “some” information. Four in ten say they would like more information about at least one basic HIV topic asked about. 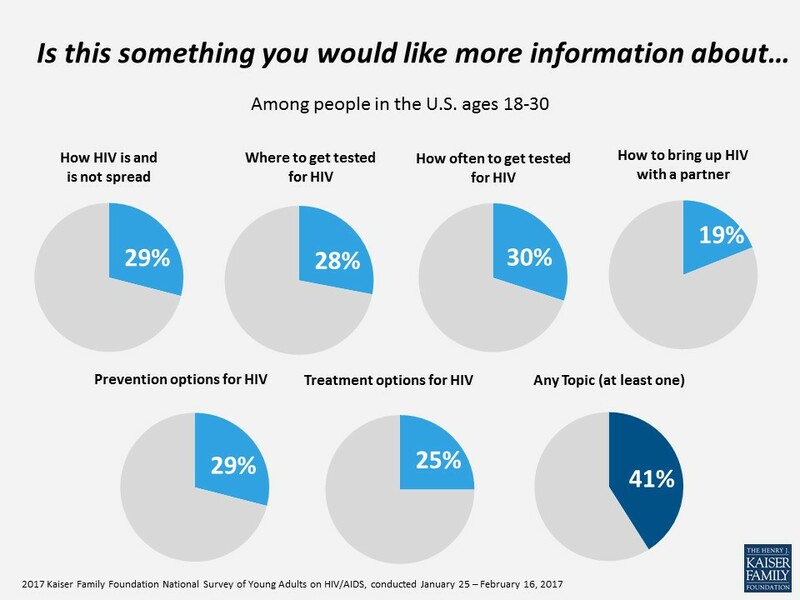 More Black and Latino young people indicate they want to know more about HIV, across all topics, as compared to whites.